The case of Gaughran v Chief Constable of the Police Service of Northern Ireland was heard by the Supreme Court on 16 October 2014, on appeal from  NIQB 88. In November 2008, the appellant pleaded guilty to driving with excess alcohol. He was fined and disqualified from driving. 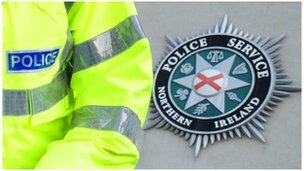 In line with the PSNI’s practice to obtain biometric data from all persons arrested for a recordable offence, the appellant’s fingerprints, photograph, and a DNA sample were taken. The appellant brought judicial review proceedings on the basis that the police’s indefinite retention of his personal data breached his right to respect for private life protected by ECHR, art 8. The case was decided by the High Court in Northern Ireland prior to the enactment of the Criminal Justice Act (Northern Ireland) 2013 and the Protection of Freedoms Act 2012, which amended the law relating to the retention of biometric data following the Strasbourg decision in S and Marper v UK (2009) 48 EHRR 50 that the blanket policy to indefinitely retain biometric data of unconvicted persons was unlawful. The new legislation, however, permits the retention of biometric data from persons convicted of recordable offences. Girvan LJ delivered judgment for the High Court in Northern Ireland on 13 November 2012. In finding that the retention of the appellant’s personal data amounted to an interference with his right to respect for privacy under art 8(1), the court referred to the decisions of Strasbourg in Marper and the Supreme Court in R (GC) v Metropolitan Police Commissioner  3 All ER 859. The court held that the taking of DNA samples, fingerprints and photographs involve a person giving access to matter of a “very personal nature” , and that such “private data” would not “cease to represent private information after its taking”, even where the person was convicted of a crime . In assessing justification under art 8(2), the court found that retention pursued a legitimate aim, pursuant to a statutory power. Emphasising that in Marper, Strasbourg did not consider it necessary to decide whether the quality of law requirement was met , the court similarly found that the instant case was not appropriate for determining whether the legal framework under which the material was retained satisfied the quality of law requirement, and focused instead on necessity and proportionality . The court emphasised that in Marper, Strasbourg considered whether the retention of fingerprints and DNA data of suspected but unconvicted persons was justified , and that there was no authority for the proposition that a blanket policy of retention of data of convicted persons would be unlawful. The court held that it was implicit in the decision in Marper that the retention of data in the case of some unconvicted persons may be justifiable . The court ruled that the policy of indefinite retention of personal data of persons convicted of recordable offences was proportionate and justified under art 8(2), finding that the database was a useful resource for battling crime, and that it also discouraged convicted offenders from reoffending. The court stressed that the decision to draw the line at persons convicted of recordable offences was rational and not a blanket or indiscriminate policy, as it distinguished between (a) unconvicted persons and those convicted of non-recordable offences and (b) persons who were convicted of recordable offences, which, in the instant case, was an offence for which imprisonment could be ordered . The court felt that differentiation between categories of convicted persons may be administratively complex and accepted that as the retention of data of unconvicted persons had already been limited, further exceptions would undermine the police’s effectiveness in battling crime. The court held that introducing time limitations on data retention for some offences would be “somewhat arbitrary”, and would add to the administrative burden in cases where the retention of such data was a “very minor intrusion” into the appellant’s private life . The court held that the rights of convicted persons differ significantly from unconvicted persons, and this impacts on where the balance should be struck between the individual’s rights and the public interest. In finding the indefinite data retention policy proportionate, the court also stressed that the use of the retained material is strictly restricted, that material retained may be exculpatory as well as inculpatory; and that an “exceptional case procedure” permits the possibility of applying to have data removed . The appeal was heard by the Supreme Court on 16 October 2014. Lord Neuberger, Lady Hale, Lord Kerr, Lord Clarke and Lord Sumption considered whether the indefinite retention of fingerprints, photographs, DNA samples and DNA profiles of an individual convicted of a recordable offence is an interference with the right to respect for private life protected by ECHR art 8, and if so, whether such interference is justified. If a breach is found, it will have significant implications for the retention of biometric data in the United Kingdom and potentially beyond. Ayesha commenced traineeship at Matrix in October 2014. I can’t find the Supreme Court’s judgment anywhere. Was it reserved? If so, when is it expected? Judgment hasn’t been given yet. Judgments are often handed down around 3 months after the hearing. 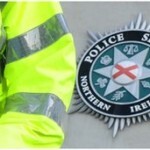 Leave a reply on "Case Preview: Gaughran v Chief Constable of the Police Service of Northern Ireland"